I substituted a low-protein white whole wheat for the Turkey Red wheat used previously. I decreased the total dough hydration to 72% because of the lower protein content of the flour mix. At the lower hydration level, the dough was still significantly slacker than the previous bake. It was also remarkably more extensible. Divide the dough as desired and pre-shape as balls. Cover and let rest for 10-30 minutes to relax the gluten. 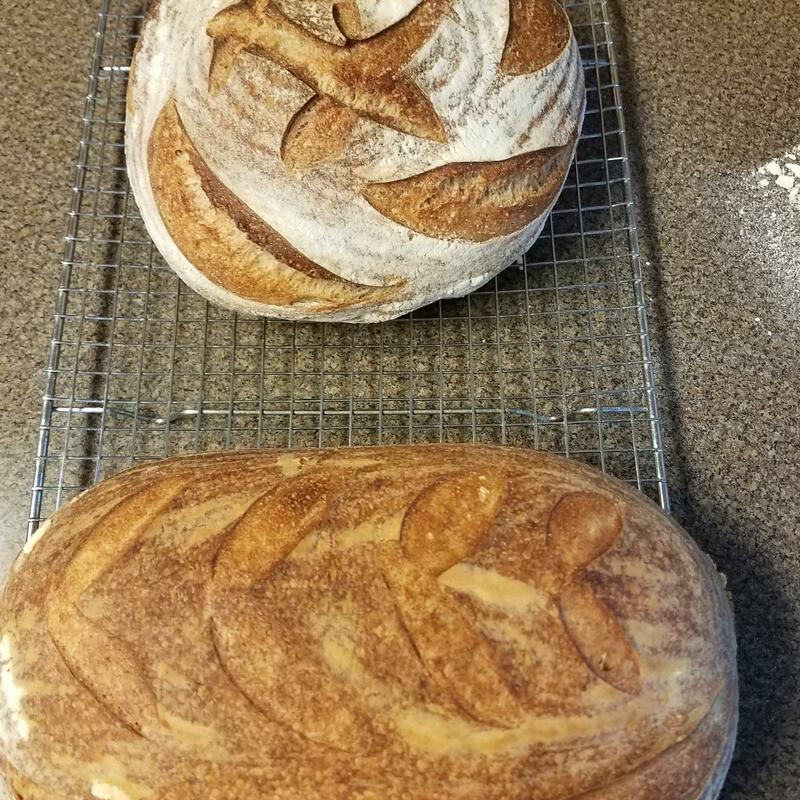 I divided the dough into two 250g pieces that were shaped as baguettes and baked after proofing for an hour and two 715g pieces which were shaped as bâtards, proofed at room temperature, retarded for 40 hours, proofed at 80ºF for another hour and 45 minutes then baked. The baguettes were good but lacked in flavor compared to the retarded loaves. The bâtard had a more complex flavor and was a little tangier. It was missing the unique and prominent flavor I have come to associate with Turkey Red wheat. It is good, but I have come to enjoy the flavor contribute of whole grain red wheat and miss it in this bread. We'll see how it tastes for breakfast tomorrow. 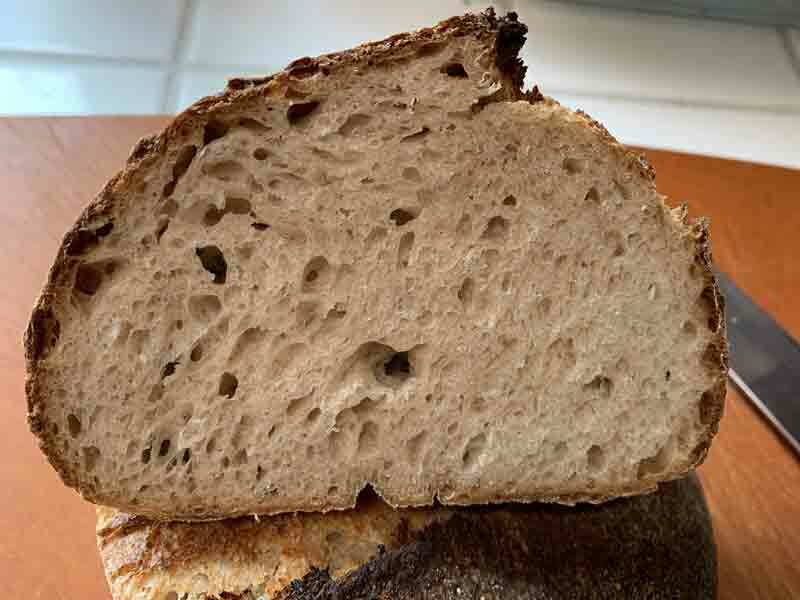 I do want to experiment more with the low-protein white wheat, but perhaps not in a pain de campagne type bread. How about scones? 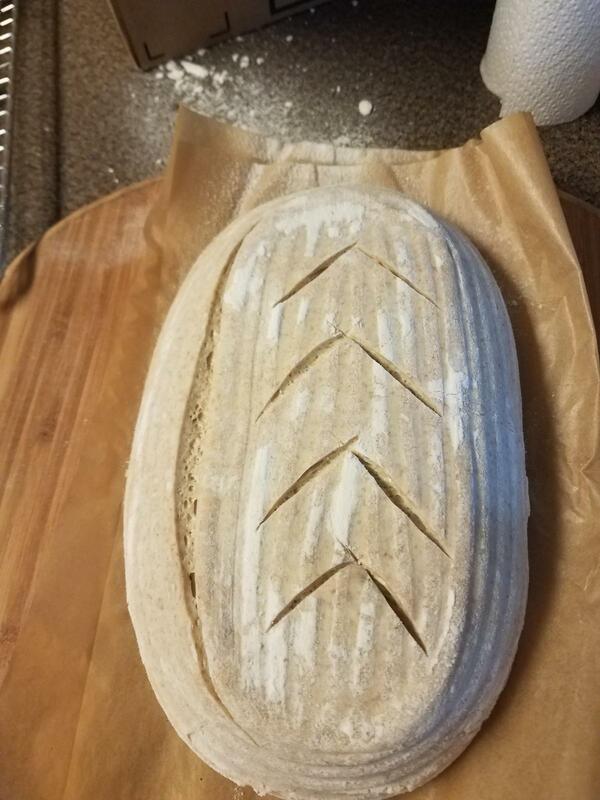 Very nice bread, David! I especially like the crumb shotin the last image. You made a statement that interest me. 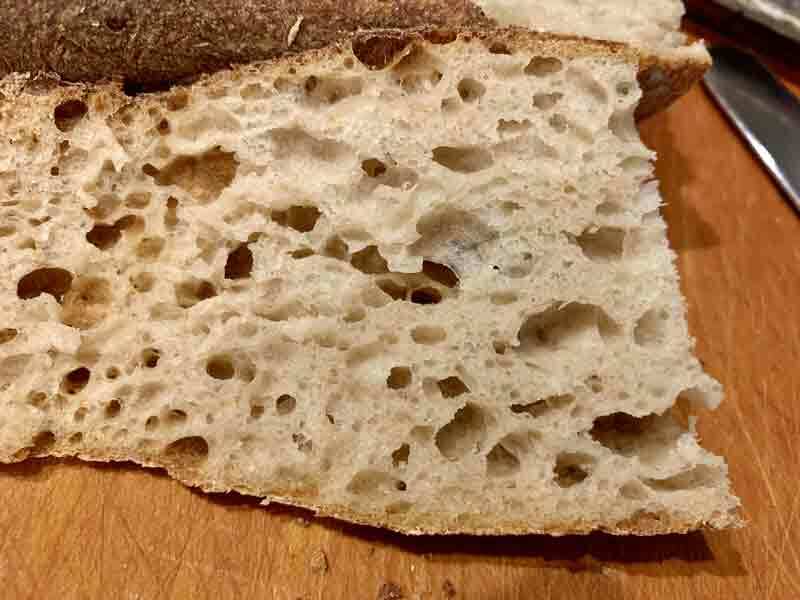 “I have maintained my 50% hydration starter with feedings as previously described – a bit of rye and the remainder high-protein flour – with feedings about 3 times per week.” Are you keeping this starter in the frig? If not, how do you manage feeding the starter only 3 times a week? 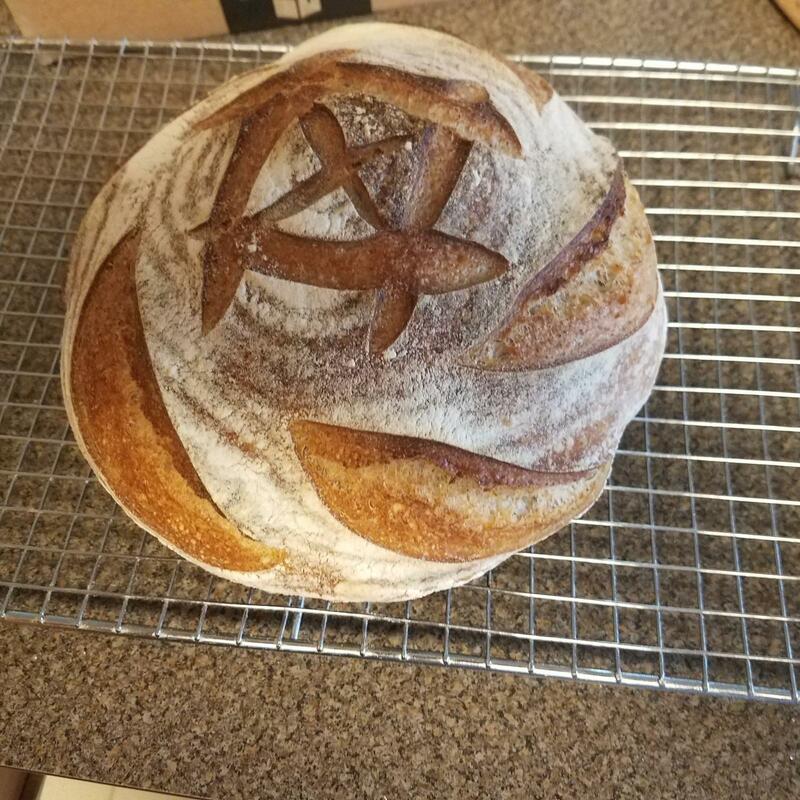 I baked this bread over the weekend and came out delicious. 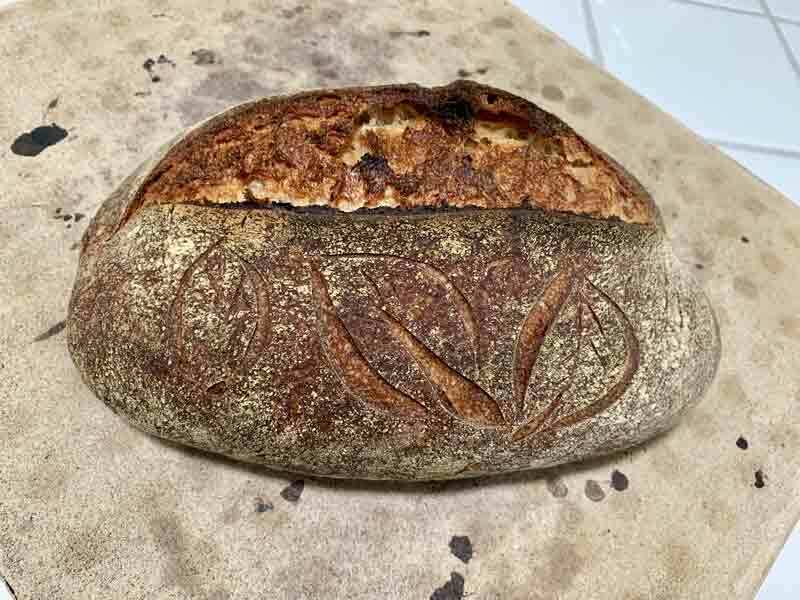 The boule was done in the Dutch oven and the batard on steel, does the Dutch oven create that much more heat and stream giving a better ear? I RT for 1 hour and then CF for 24 hours. 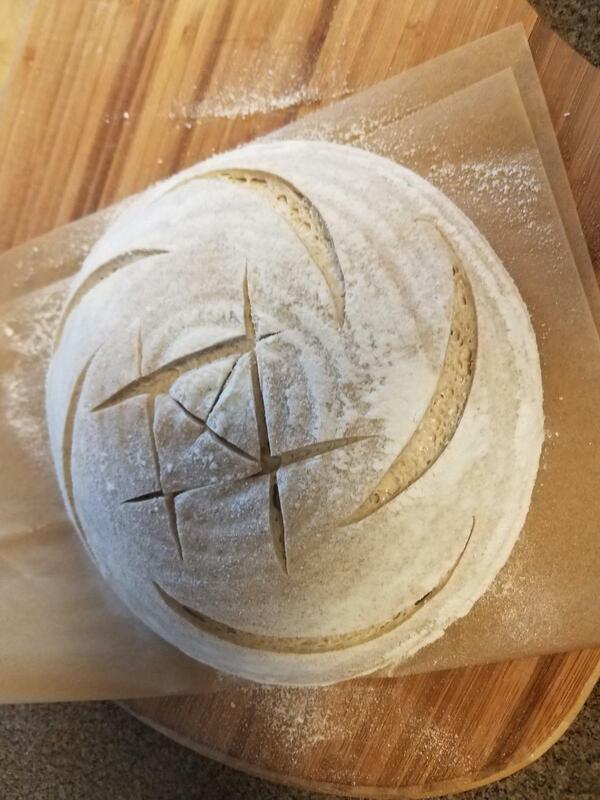 The I didn't have kumut flour so I sub spelt for it. I’m diggin’ your creative scoring.